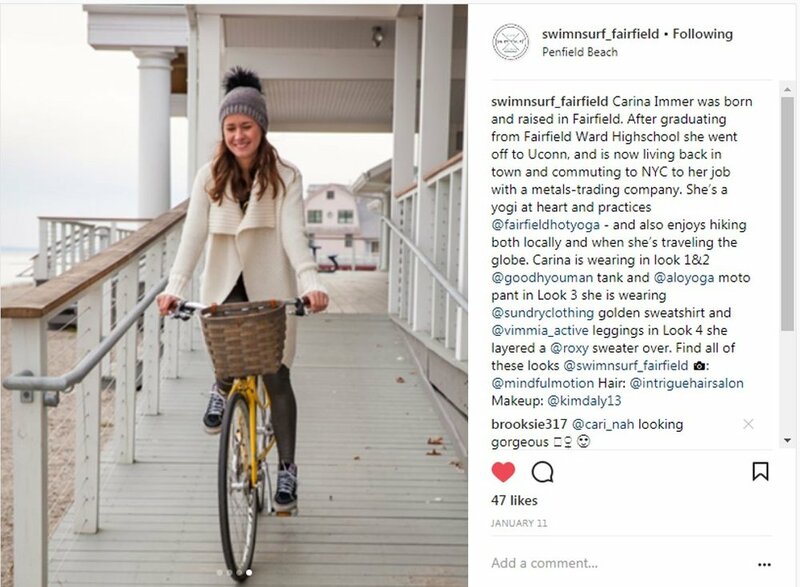 Based in downtown Fairfield this established business of 10+ years has been Fairfield locals' go-to destination for swimwear and summer beach fashion. 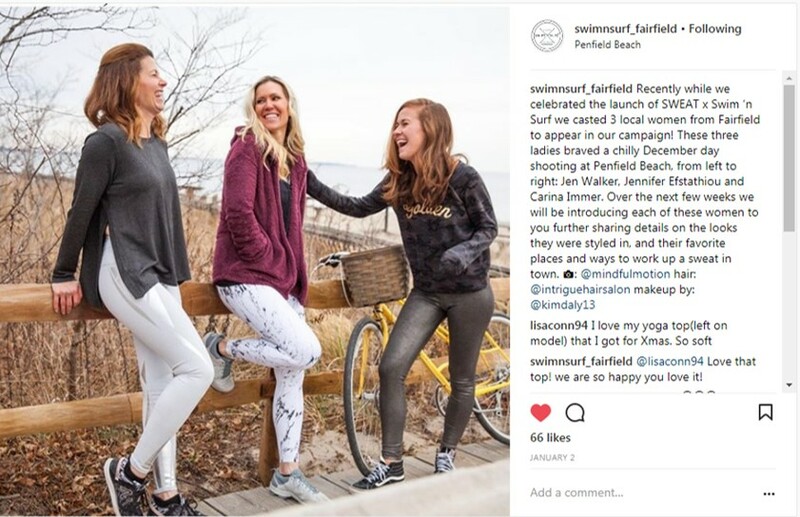 As summer 2017 was winding down Sea Suite Marketing was hired to create a business plan that would keep Swim 'n Surf relevant year-round and better serve the community of active women in town. 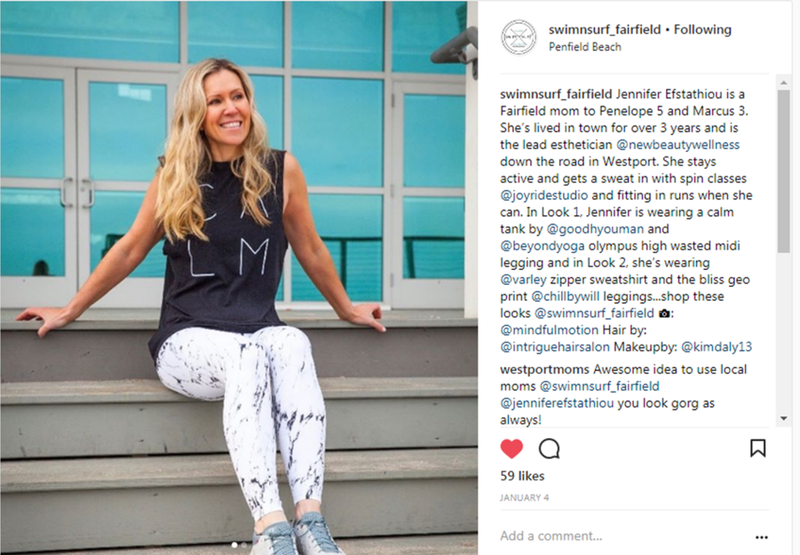 With an understanding of their target audience and the lack of competition in the space, we aligned on the idea of carrying activewear -- performance fitness pieces and studio-to-street athleisure looks. End to end engagement included the creation of a strategic business plan that aided in securing a state-funded small business grant, photoshoot production, brand asset creation, press outreach, and a comprehensive marketing plan featuring digital, social and magazine media. As a result of our engagement the company has seen profitable growth - sales for January 2018 vs. January 2017 have grown over 300%. Additionally, the store was voted "Best Boutique" in Fairfield Magazine's "Reader's Choice Awards." 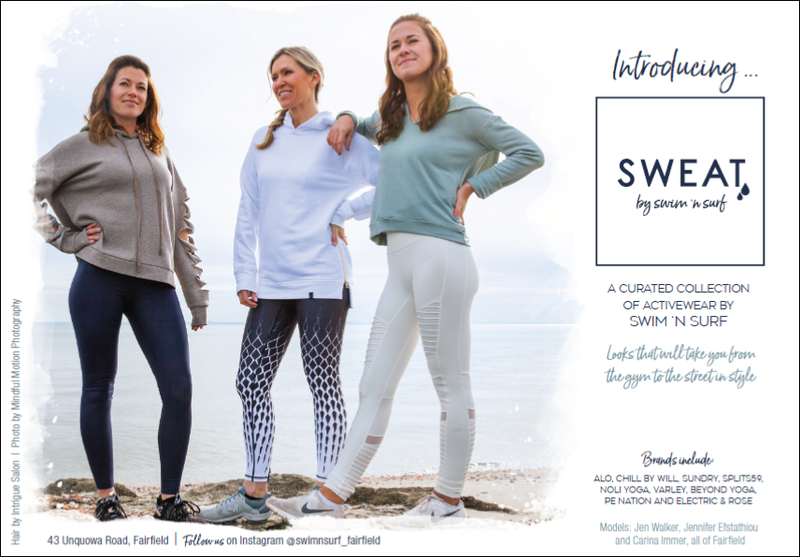 Above: Advertisement in Fairfield Magazine (designed by, Nori Studios). Below: Social media promotion led to hundreds of launch event attendees, nearly 50 applications for the model casting call and over 30 sales transactions during the three hour party.